In the Big Apple, 6Sigma.com pioneered offering the ability to trainees to pursue Green Belt and Black Belt training for the first two weeks together. As a result, trainees managed to complete two belts together and organizations were left with greater flexibility than before. 6Sigma.com is also proud to offer NYC corporates a number of onsite Six Sigma Champion leadership courses that help them deploy six sigma principles easily. Don’t miss out on a $1000 discount for simultaneous Green Belt and Black Belt after Green Belt – use the discount code BB1000. 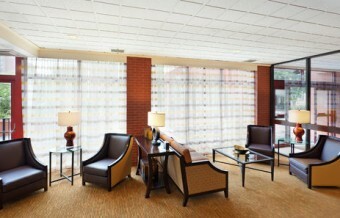 Courtyard Newark Elizabeth NJ provides greater flexibility & choices for our guests. NearNewark Liberty Airport, our hotel features inviting spaces to work or relax in, free hi-speed Internet and our newly renovated hotel rooms & suites draped in designer bedding. Our state-of-the-art lobby offers inviting, flexible spaces to work or relax in, free Wi-Fi & easy access to the latest news, weather & airport updates via our GoBoard. The highlight of our Newark hotel lobby is The Bistro – Eat. Drink. Connect. which provides guests with healthy food & beverages in the morning & evening dinner service with cocktails.